There are two types of people in this world — those who start planning their Halloween costume months in advance, and those who simply hang a cardboard sign around their neck that reads “Nudist On Strike.” If you belong to the former camp, you know October is all about binge-watching horror movies, stockpiling miniature candy bars and transforming your home into a haunted house. We’ve scoured the web (the internet, not the one spun by spiders) to bring you 13 Halloween decorations that are priced under $35. 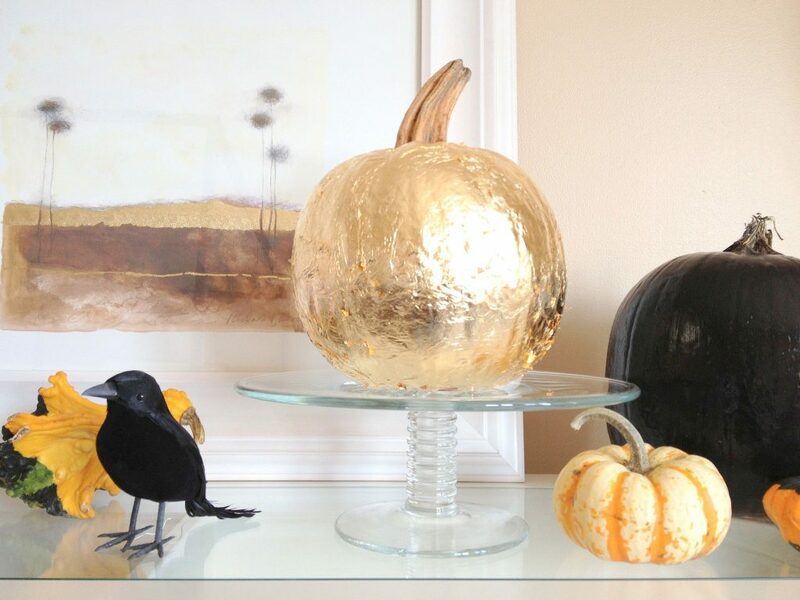 Add a touch of macabre with skulls that can be displayed year-round. 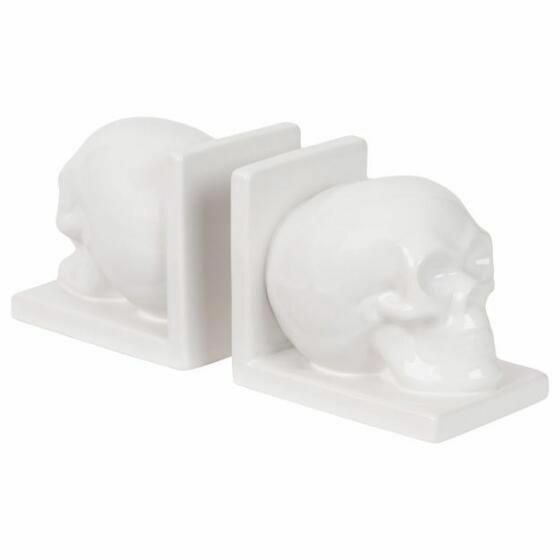 Place these ceramic bookends in your private study to evoke an atmosphere of science fiction. 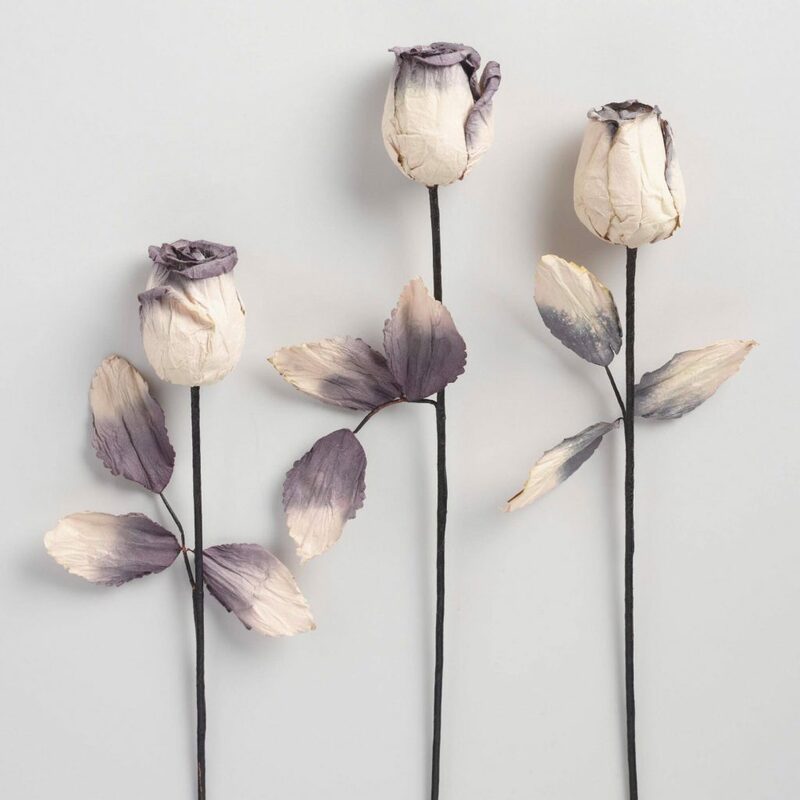 Arrange a haunting bouquet with these black-stemmed, black-accented white paper flowers. 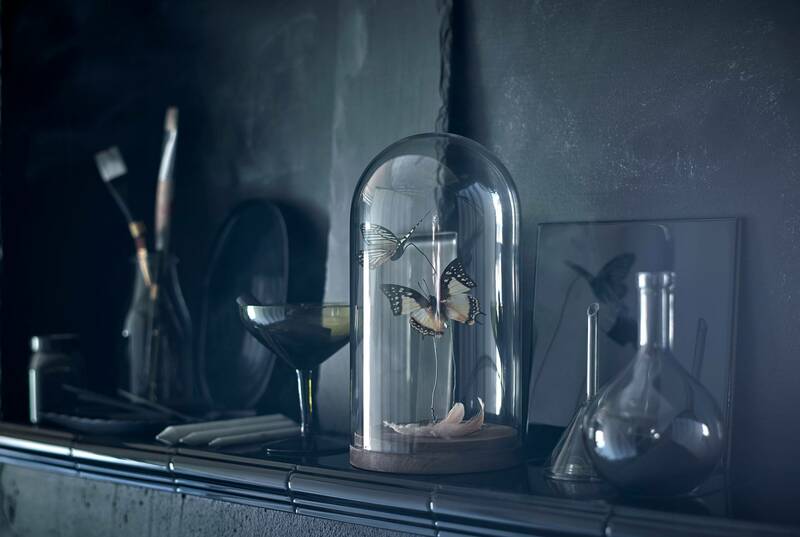 All you need to complete the look is an antique candelabra that’s been gathering dust in storage. 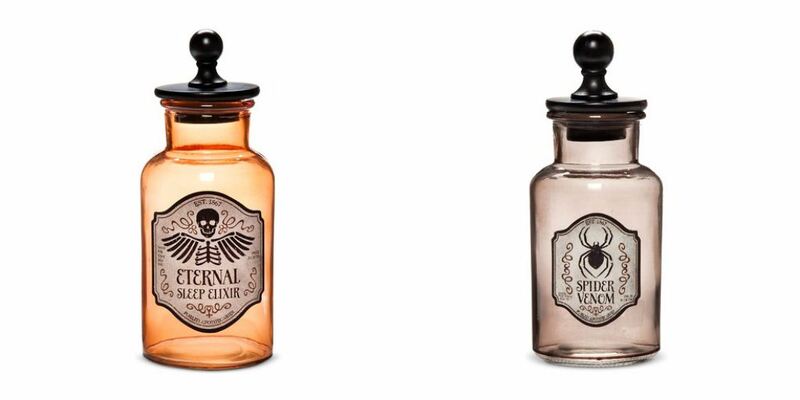 Light up your Halloween party with these eerie black-tinted bulbs. 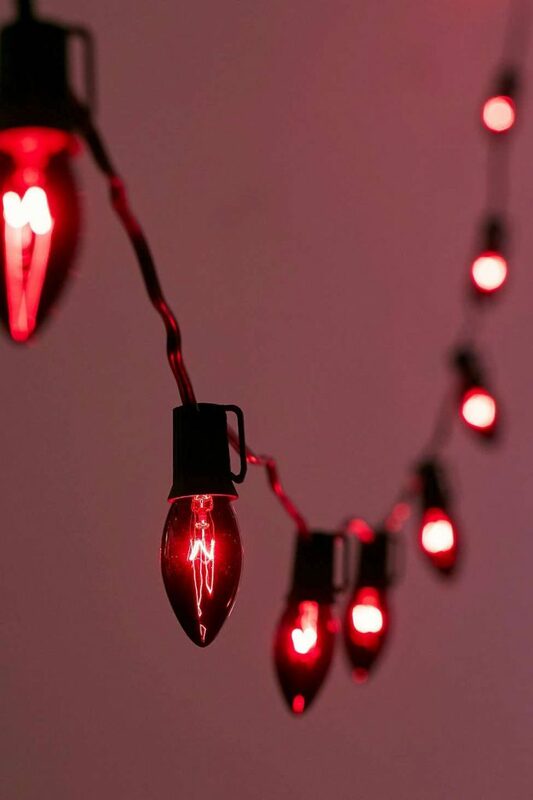 They cast a reddish glow that will leave your guests wondering if there was, in fact, a murder on the dance floor. 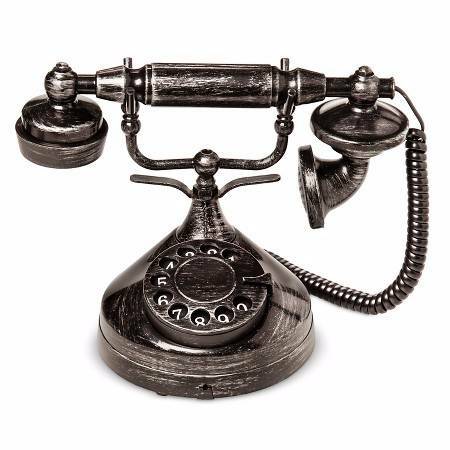 This faux-phone looks like it belongs in the lobby of the Hotel Cortez — the setting of American Horror Story: Hotel. It even rings like a real phone and speaks spooky phrases. Glass domes are incredibly versatile, but we love using them around Halloween to display frightening “artifacts,” like a fake crow or plastic skeleton hand. 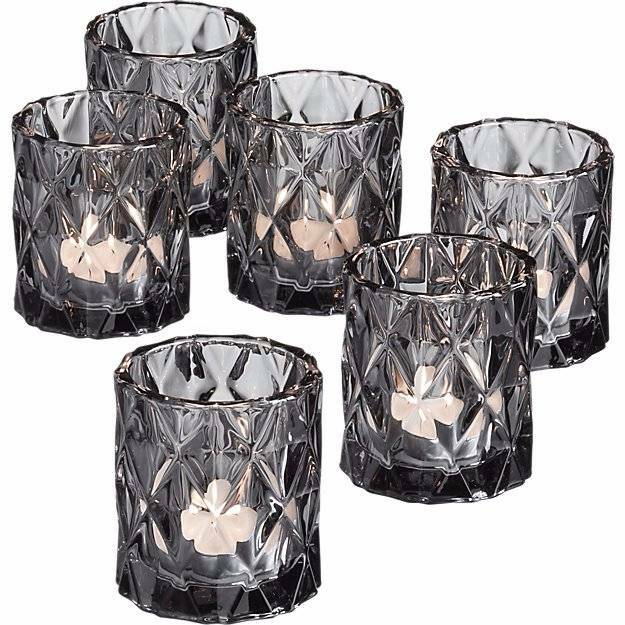 This set of six tea light candle holders will make you want to conduct a séance. The grey, multifaceted glass causes the light to scatter, creating a moody atmosphere. 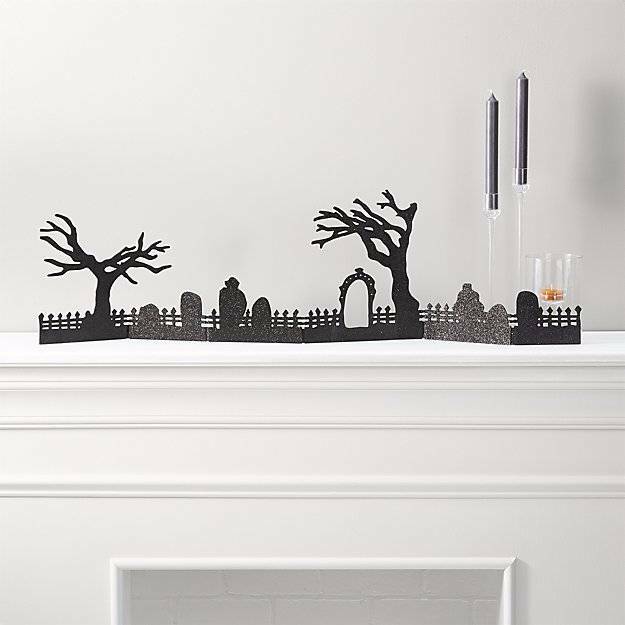 This paper cut decoration from Crate & Barrel looks especially boo-tiful when placed on a fireplace mantle or dining table. Pair it with the haunted village and tabletop tree for the ultimate Halloween display. 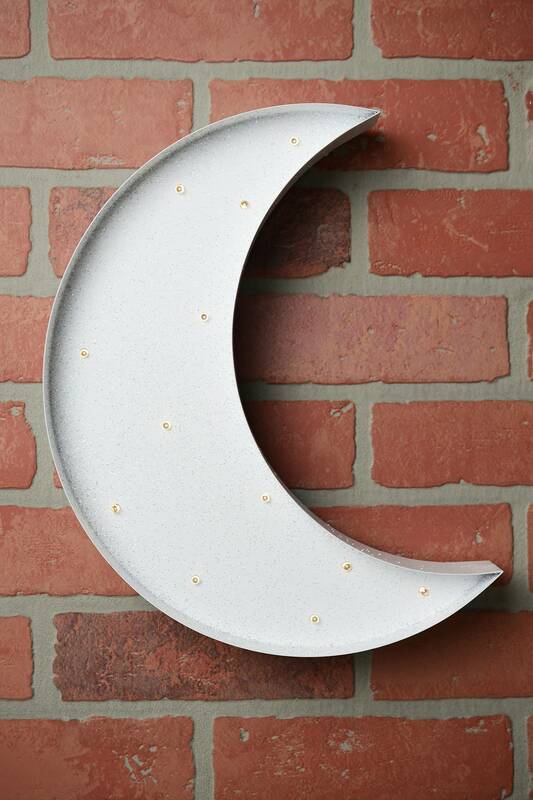 Your guests will be spellbound by this white crescent moon marquee. Measuring 13″ tall, the sign features LED lights that are powered by AA batteries. 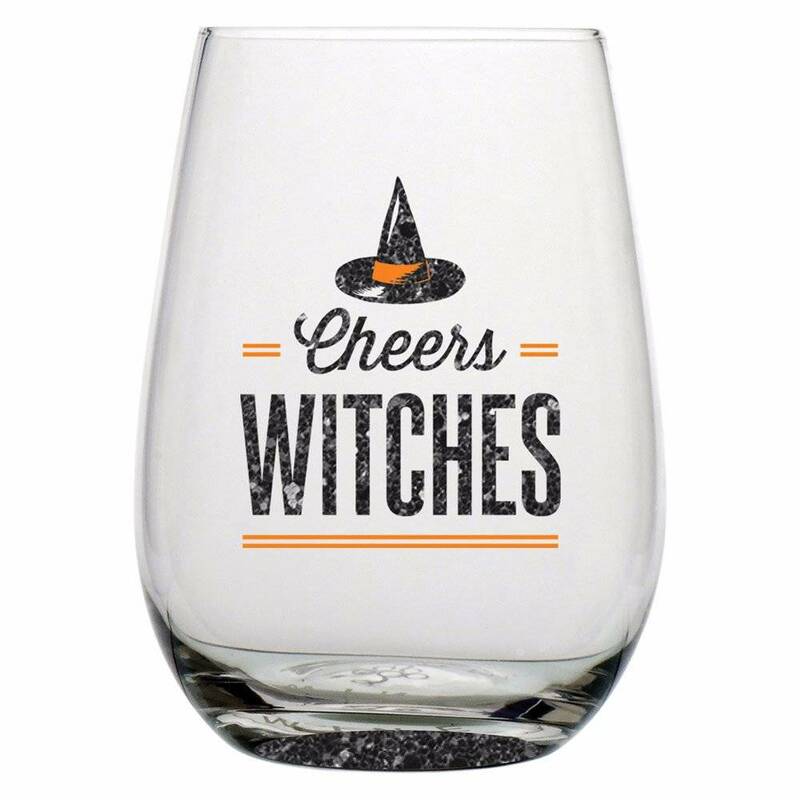 Drink your witches brew from this sparkly glass while giving out candy on Halloween night. You’ll need it if you live in a prime trick-or-treating neighbourhood. 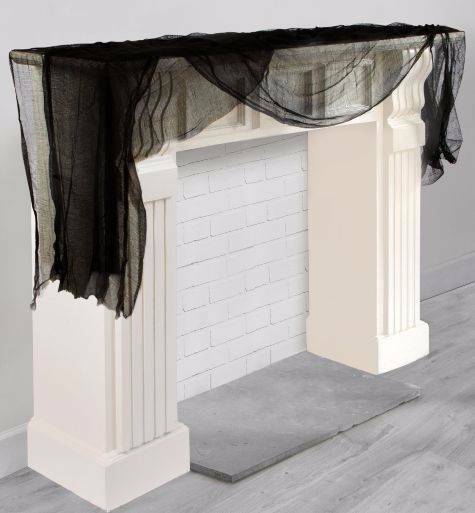 Cheesecloth is inexpensive and one of the easiest ways to make your home ghoulishly glam. Use it as a tablecloth or drape it over the furniture for a last-minute party look. 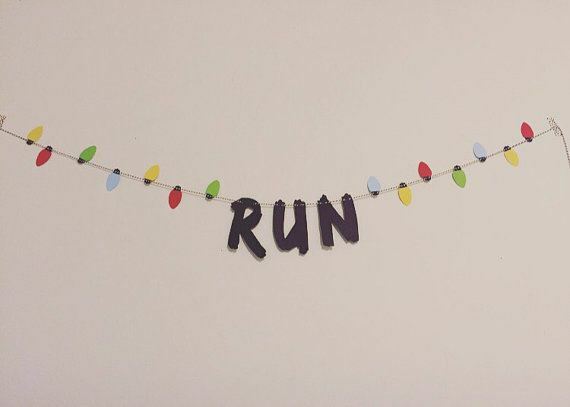 Everyone you know will be dressing as Eleven for Halloween this year, so why not embrace the Stranger Things pandemonium with this word and light garland from the HunnyHolla Etsy shop. Just thinking of Joyce’s face being lit up by those blinking Christmas lights gives us the chills. 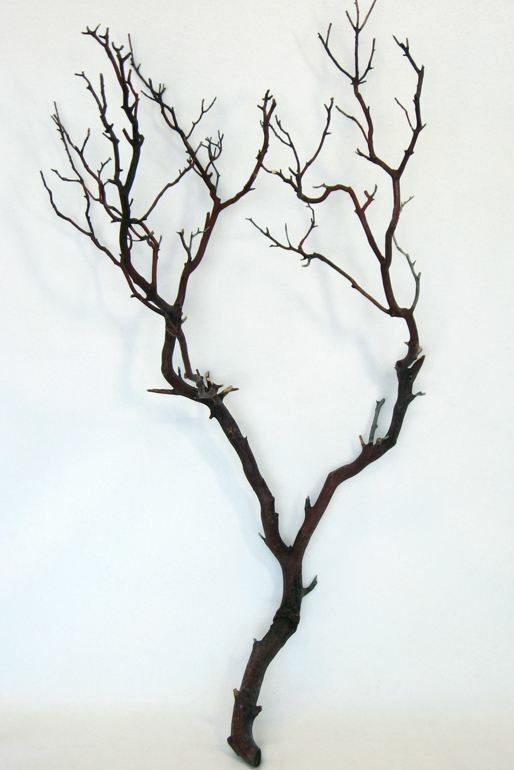 Manzanita branches look like they were plucked from the dark forest in Sleeping Beauty. Make Maleficent proud by positioning your branch in a tall vase filled with stones or glass marbles to keep it stabilized.